The PLAYERUNKNOWN Battle Royale Extra Life Round Two event is about to kick off. 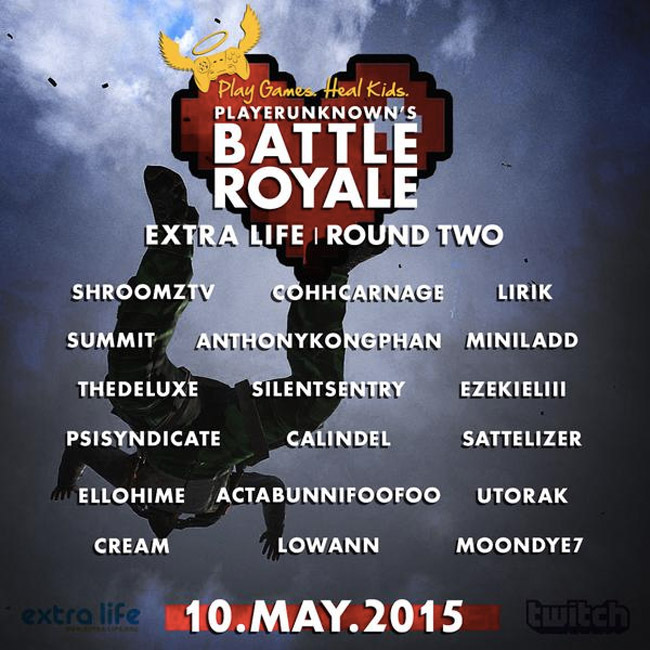 You can view the stream on the official Battle Royale Extra Life page by clicking here. If you would like to donate, click the link below and support the kids. Who do you think will win the Battle Royale event?